Reefkeepers need to keep track of many measurements in their aquaria. The most important of these include temperature, salinity (or specific gravity), calcium and alkalinity. Just as important as the actual values, however, are the units of measurement involved. 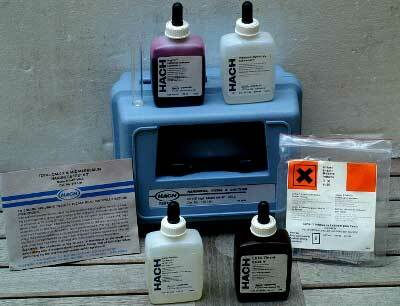 Is an alkalinity of five a "good" value for a reef aquarium? The answer, obviously, depends on the units of measure. An alkalinity of 5 meq/L is on the high side, while an alkalinity of 5 dKH is on the low side. Even more confusing to aquarists are test kits that report results in unusual units. The Hach kit that reveals the magnesium concentration in units of ppm calcium carbonate equivalents probably takes the prize in the "dubious units" contest. In order to assist aquarists in understanding their reef aquaria, this article provids an encyclopedic listing of the most common units of measure used in reef keeping. In most cases, the entries include definitions and conversions to other units that might be preferable to use. Many online conversion calculators can be employed when converting different units, and many are linked in the listings. In general, this link and this link have very good conversion calculators. Note: For quick navigation throughout this page, use the slide-out menu on the left of the screen. Alkalinity is a measure of the amount of acid necessary to reduce water's pH to the point where all carbonate and bicarbonate have been converted into carbonic acid (about pH 4.2 in seawater). In seawater, bicarbonate and carbonate provide nearly all of the alkalinity. Consequently, reef aquarists can use it as a surrogate measure for bicarbonate and carbonate which are taken up by calcifying organisms (Figure 1). The units of alkalinity can be meq/L (milliequivalents per liter), dKH (degrees of carbonate hardness), or ppm (meaning ppm of calcium carbonate equivalents). One meq/L = 2.8 dKH = 50 ppm CaCO3 equivalents. Seawater has an alkalinity of about 2.5 meq/L = 7 dKH = 125 ppm CaCO3 equivalents. Figure 1. This green mushroom is not likely influenced strongly by whether the alkalinity is 4 dKH or 4 meq/L, but the coralline algae behind it likely will be. Alkalinity is not a measure of pH, although some people talk of it that way, nor is it a very useful indicator of a solution's buffering capacity, although it is related strongly to buffering capacity. An article explaining in detail what alkalinity is and what its units mean is online here. There is a calculator for converting between different alkalinity units online here. Here is an online calculator for determining how much of different supplements to add to boost alkalinity, as well as calcium and magnesium. The ampere (amp or A) is a unit of electrical current flow. It is named after the French physicist André-Marie Ampère (1775-1836). The definition of the ampere is complicated, but it can be related simply to other electrical units. One ampere represents a current flow of one coulomb of charge per second. One ampere of current also results from a charge of one volt across one ohm of resistance, or from a power production rate of one watt per volt. Electrical circuit breakers and fuses allow a certain amount of current to pass up to a design limit (often 15 or 20 amps for normal household circuits in the United States), and they then terminate the current flow by burning out (a fuse) or tripping a breaker (circuit breaker). The Ångstrom (or Angstrom; named after the Swedish physicist Anders Jon Ångström (1814-1874)) is a metric unit of length, equal to 0.1 nanometer or 10-10 meter. Angstroms are used most often to measure the wave length of light, or sometimes in measuring the distance between atoms in a molecule. The distance between adjacent atoms in a typical molecule is 1-3 Ångstroms. The table below shows a typical wavelength of different colors of light. A calculator for various length-related units can be found here. The atmosphere is a unit of pressure designed to match the average pressure of the Earth's atmosphere at sea level. One atmosphere equals 1013 millibars (mb), 101.3 kilopascals (kPa), 14.7 pounds per square inch (lb/in2). 29.92 inches of mercury (in Hg), and 760.0 millimeters of mercury (mm Hg), and 14.7 pounds of force per square inch (lbf/in2). The standard atmosphere equals 1.033 technical atmosphere. A calculator for various pressure-related units can be found here. The bar is a metric unit of atmospheric pressure. It equals one million dynes per square centimeter, 100 kilopascals, 750 torr, 1.02 kilograms per square centimeter (kg/cm2), 29.53 inches of mercury (in Hg) and 14.5 pounds per square inch (lb/in2). One bar is slightly less than the average pressure of the Earth's atmosphere, which is 1.01 bar. Meteorologists often report atmospheric pressure in millibars. A calculator for various pressure-related units can be found here. Baumé or degree Baumé is a unit of relative density, typically implying a concentration of a material dissolved in water. It can be read on a special type of hydrometer invented by the French chemist Antoine Baumé (1728-1804). Two scales are used, depending on whether the liquid is lighter than water or heavier than water. For liquids lighter than water, the relative density d in degrees Baumé is related to specific gravity S by the formula d = (144.3 / S) - 144.3. For liquids heavier than water the formula is d = 144.3 - (144.3 / S). Reef aquarists will most likely encounter this unit as a unit of concentration of certain chemicals, such as hydrochloric acid. The BTU is a unit of heat energy defined as the amount of heat required to raise the temperature of one pound of water by one degree Fahrenheit. It is most often used in reef keeping as a way to gauge the power of chillers (see BTUh below). One Btu is equal to about 251.996 calories, or 0.251996 kilocalories (the “calories” counted by dieters). One BTU equals approximately 778.169 foot pounds, 1.055 056 kilojoules or 0.293 071 watt hour. A calculator for various energy-related units can be found here. BTUh is the symbol used in the U.S. heating and air conditioning industry for British thermal units per hour, a unit of power. The correct symbol is Btu/h. One BTUh represents the capacity to generate (or remove) one BTU each hour. Reef aquarists encounter it most in the power rating of chillers. The higher the rating, the more cooling capacity. One Btuh equals 0.293071 watt. Brix is a unit of proportion sometimes encountered by reef keepers using hydrometers intended for other industries. Brix is equal to percent, used in measuring the concentration of sugar in fruit juices, maple syrup, and similar solutions. One brix equals 1 weight percent sugar in the solution. The unit is named for the Austrian scientist Adolf Brix (d. 1870), who invented a hydrometer that reads directly the percentage of sugar in the juice. Brix is most often measured with a hydrometer. A Brix hydrometer cannot be directly used to measure aquarium salinity, however, without knowing the relationship between Brix and seawater salinity. The calorie (also called the small calorie or gram calorie) is the CGS unit of heat energy. This calorie is the amount of heat required to raise the temperature of one gram of water by one degree Celsius. One calorie equals 4.1868 joules or 0.00396832 British thermal units (Btu). There are other definitions that vary slightly from this one, with very slightly differing numbers of joules per calorie. A calculator for various energy-related units can be found here. The candela is the SI for measuring the intensity of light. Candela is the Latin word for "candle." Originally, one candela represented the intensity of an actual candle. The definition has evolved over the years to make it moiré reproducible, but is still about the same intensity. A calculator for various light-related units can be found here. A calculator for various light-related units can be found here. An article with detailed information on such lighting units and their application to reef aquarists can be found here. See degree Celsius. A calculator for various temperature-related units can be found here. See degree centigrade. A calculator for various temperature-related units can be found here. Centipoise is a common metric unit of dynamic viscosity equal to 0.01 poise, which is also 1 millipascal second (mPa·s). The viscosity of water at 20°C (68°F) is approximately 1 cP. A calculator for various viscosity-related units can be found here. See ft3. A calculator for various volume-related units can be found here. The CGS systems of units is based on the centimeter, the gram, and the second, is called the CGS system. The similar MKS system of units is based on the meter, kilogram, and second. These basic units are then used to derive other units used in those systems. Since the basic units of these the systems differ only by factors of 10, the same is true for the derived units. In 1954, the Tenth General Conference on Weights and Measures adopted the meter, kilogram, second, ampere, degree Kelvin, and candela as the basic units for all weights and measures, and in 1960 the Eleventh General Conference adopted the name International System of Units (SI) for this collection of units. In effect, these decisions gave the basic units of the MKS system preference over the CGS system. Although some of the CGS units remain in use for a variety of purposes, they are being replaced gradually by the SI units selected from the MKS system. The following is a table of some common CGS units with their SI equivalents. Color rendering index a scale used to measure the ability of an artificial lighting system to show the "true" colors of objects (the colors those objects display in natural daylight). The scale ranges from 0 to 100, with higher numbers representing a higher fidelity of color reproduction. Reef aquarists encounter it with respect to aquarium lighting systems, although few reef specialty bulbs provide such information (or at least accurately). A calculator for various light-related units can be found here. An article with detailed information on such lighting units and their application to reef aquarists can be found here. A centimeter is a unit of length, equal to 0.01 meter, or about 0.39 inches. A calculator for various length-related units can be found here. A square centimeter is the CGS unit of area equal in size to a square 1 cm x 1 cm, although it can be any shape of equal area. 1 cm2 = 0.16 in2= 100 mm2= 10-4 m2. A calculator for various area-related units can be found here. A cubic centimeter is a unit of volume equal in size to a cube 1 cm x 1 cm x 1 cm, although it can be any shape of equal volume. 1 cm3 = 0.061 in3. A calculator for various volume-related units can be found here. Color temperature is a measure of the overall "color" of a light source, such as a lamp used over an aquarium. The measurement is obtained by comparing the spectrum that it emits (i.e., the wavelengths of length) to the spectrum of a perfect emitter at a specific temperature. CCT is expressed in kelvin (K). Lower temperatures indicate more red and yellow light, higher temperatures more blue. "CCT" stands for "correlated color temperature." A calculator for various light-related units can be found here. An article with detailed information on such lighting units and their application to reef aquarists can be found here. CFM is a unit of flow rate equal to one cubic foot of volume each minute. It is often used in the rating of cooling fans used in aquarium canopies (often in the 10-100 CFM range), and sometimes also for water pumps. A calculator for various flow rate-related units can be found here. The measuring cup a traditional unit of volume used in the United States. One cup equals 1/2 (liquid) pint, 8 fluid ounces, 14.4 cubic inches, or 236.6 milliliters. In the United States, the same size cup is used for measuring both liquid and dry substances. In Canada, a cup is equal to 8 Imperial fluid ounces (13.9 cubic inches; 227.3 milliliters). In Britain, a similar but larger unit called the breakfast cup is sometimes used, equal to 10 Imperial fluid ounces. Cycles per second is a traditional unit of frequency equal to one per second, or one hertz. A calculator for various frequency-related units can be found here. A Dalton is an alternate name for the atomic mass unit (u or amu). The dalton is often used in microbiology and biochemistry for the masses of large organic molecules such as proteins. Often the values are reported in kilodaltons (kDa). The Dalton is named after the English chemist John Dalton (1766-1844), who first developed the atomic theory of matter in 1803. The decibel is a logarithmic unit most commonly used for measuring sound. The unit is logarithmic because experiment has shown that when humans perceive one sound to be twice as loud as another, the louder sound is about ten times as intense as the fainter one. Consequently, sound is measured on a logarithmic scale. If one sound is 10 decibels "louder" than another, this means the louder sound appears to be 10 times louder than the fainter one. A difference of 20 decibels corresponds to an increase of 10 x 10 or 100 times in intensity. A quiet room has a normal sound intensity of around 40 decibels, ten thousand times louder than the faintest perceptible sound, and thunder may have an intensity of 120 decibels, a trillion times louder than the faintest sound. An online article with a detailed definition and explanation of the decibel is available here. Decibel A is a unit of sound intensity, like the decibel, except that sounds of high and low frequencies that are heard poorly by the human ear have been filtered out prior to measurement. An online article with a detailed definition and explanation of the decibel A is available here. Degrees Celsius is a metric unit of temperature. The Celsius temperature scale is named for the Swedish astronomer and physicist Anders Celsius (1701-1744). The freezing point of water was originally defined to be 0°C, while the boiling point was 100°C. Thus the Celsius degree is 1/100 of the difference between these two temperatures. The scale now has a more precise and reproducible definition relating to the physical properties of water, but the size of the units is the same. A calculator for various temperature-related units can be found here. Degrees centigrade an old name for the degree Celsius. The Celsius scale is sometimes called "centigrade" because it has 100 degrees between the freezing point and boiling point of water. In 1850, the name was changed to "degree Celsius" in honor of its inventor. A calculator for various temperature-related units can be found here. Kelvin is the SI unit of temperature, previously called the degree Kelvin (°K), but that term is no longer used. See Kelvin. A calculator for various temperature-related units can be found here. Degrees Fahrenheit is a unit of temperature used primarily in the United States. The unit was named after by the German physicist Daniel G. Fahrenheit (1686-1736), who invented the system as well as the mercury thermometer. He definedt 0° to be the coldest temperature he could conveniently achieve using an ice and salt mixture, and he intended to set 96° as the temperature of the human body. On this scale, the freezing point of water turned out to be about 32°F and the boiling point 212°F. Later, the scale was more precisely defined by these two temperatures. To convert a temperature in °F to the Celsius scale, first subtract 32° and then multiply by 5/9. To convert a temperature in °C to the Fahrenheit scale, we must first multiply by 9/5 and then add 32° (or alternately to go both ways, F =(1.8)C + 32). A calculator for various temperature-related units can be found here. dKH stands for the German term “degrees of carbonate hardness.” It is a unit of alkalinity, and is equivalent to 0.36 meq/L or 17.8 ppm calcium carbonate equivalents. 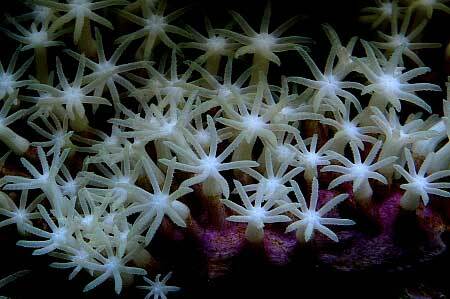 There are other related units that have similar names, such as Clark degrees, but they are rarely used by reef aquarists. Hardness is most often used to refer to calcium and magnesium in solution, but “carbonate hardness” evolved from the assumption that in fresh water, much of the carbonate comes from weathering of calcium and magnesium carbonates. So some units of measure (like dKH and ppm calcium carbonate equivalents) refer to the concentration with respect to the amount of calcium carbonate that would need to dissolve into the water to produce that alkalinity. An article explaining in detail what alkalinity is and what the units mean is online here. There is a calculator for converting between different alkalinity units online here. There is a calculator for determining how much of different supplements to add to boost alkalinity, as well as calcium and magnesium, online here. The drop is an old unit of volume used in pharmaceutical science. The drop was also known as the minim, a unit of volume equal to 1/60 fluid dram or 1/480 fluid ounce (0.061 milliliter in the U.S.; 0.059 milliliter in Britain). Today, prescriptions are written in metric units, and the drop is defined as being equal to exactly 0.05 milliliter (20 drops/ml). The actual size of drops of water depend on how they are formed, including the size of the opening that they come out of, the nature of the tubing material, and what is in the water. In hospitals, intravenous tubing is used to deliver medication in drops of various sizes ranging from 10 drops/ml to 60 drops/ml. Consequently, kits using drops in titrations may be less accurate than measured volume measurements (using syringes or volumetric pipettes, for example). If using a drop titration kit, it is especially important to create the drops using the same device included with the kit, as a different device may create different size drops and hence give incorrect answers. A calculator for various volume-related units can be found here. The einstein is a unit of light energy. One einstein is the energy per mole (6.02 x 1023) of photons carried by light. Light has frequency v (in hertz) and wavelength l (in meters). One einstein is then equal to (4.0 x 10-10)v or (0.12)/l joules per mole (J/mol). The unit is named for the physicist Albert Einstein (1879-1955). A calculator for various energy-related units can be found here. An article with detailed information on such lighting units and their application to reef aquarists can be found here. An equivalent is a unit of relative amount of material used in chemistry. It is a complicated unit that can actually vary with the intended use. One equivalent of an element, compound, or ion is the amount (in moles) of that substance which would react in the intended reaction multiplied by the number of times that it can react. Most often, reef aquarists will encounter this unit in alkalinity. For monovalent ions that contribute one unit of alkalinity per mole (e.g., bicarbonate, HCO3- and borate, B(OH)3O-), the number of equivalents is the same as the number of moles. For a divalent ion that can contribute two units of alkalinity per mole (e.g., carbonate, CO3--), the number of equivalents is twice the number of moles. For ions that provide no alkalinity (e.g., sodium, Na+ or chloride, Cl-), the number of equivalents is zero regardless of the number of moles. Reef aquarists may also encounter equivalents and equivalent concentrations in measurements of acids, where hydrochloric acid (HCl) contributes one equivalent per mole, sulfuric acid (H2SO4) contributes two equivalents per mole, and phosphoric acid (H3PO4) can contribute 3 equivalents per mole. Aquarists may also encounter equivalents in electrochemical reactions, where the number of equivalents per mole depends on how many electrons the particular ion can release or take up. Equivalent weight is the number of equivalents multiplied by the molecular weight of the ion or molecule. In practice, one equivalent is a large unit and measurements such as alkalinity are more likely to be in milliequivalents (mEq or meq). The erg is the unit of work or energy in the CGS system. It is equal to the work done by a force of one dyne acting through a distance of one centimeter. One erg is the kinetic energy of a mass of 2 grams moving at a velocity of 1 cm/sec. This is equal to 0.1 microjoule, or 7.4 x 10-8 foot-pound. There is no symbol for an erg. The word is always spelled out in full. A calculator for various energy-related units can be found here. See degree Fahrenheit. A calculator for various temperature-related units can be found here. The farad is the SI unit of electric capacitance. A pair of conductors separated by an insulator can store a substantial amount of electrical energy, with one being negatively charged and the other being positively charged. The better the insulator, the larger the charge that the conductors can hold. This property is referred to as capacitance, and is measured in farads. One farad is the ability to store one coulomb of charge per volt of potential difference between the two conductors. In many electrical circuits, capacitance is measured in microfarads, nanofarads, or picofarads. The unit is named for the British physicist Michael Faraday (1791-1867), who did a lot of pioneering work in electricity and electrochemistry. The faraday is a unit of electric charge. The faraday is equal to 96.5 kilocoulombs or 26.8 ampere hours. It is commonly used in electrochemistry, where one faraday is equal to the charge on one mole of electrons, which is the product of Avogadro's number (6.02 x 1023) and the charge on a single electron. The fluid dram is a unit of volume in the apothecary system. One fluid dram equals 1/8 fluid ounce. This unit is usually called the fluid dram or fluidram to avoid confusion with the weight dram. The U. S. fluid dram contains about 0.23 cubic inches or 3.7 milliliters. In the British imperial system, the fluid dram is about 0.22 cubic inches or 3.6 milliliters. A calculator for various volume-related units can be found here. The fluid ounce is a unit of liquid volume, called the fluid ounce to avoid confusion with the weight ounce. In the U.S. there are 16 fluid ounces in a pint, so each fluid ounce represents 1.8 cubic inches or 29.6 milliliters. In the British Imperial system there are 20 fluid ounces in an imperial pint, so each fluid ounce represents about 1.7 cubic inches or 28.4 milliliters. A U.S. fluid ounce of water weighs just a bit more than one ounce avoirdupois; a British fluid ounce weighs exactly one ounce at a specified. A calculator for various volume-related units can be found here. The foot is a traditional unit of distance. The actual length and definition of the “foot” have changed many times. In 1959, the U.S. National Bureau of Standards redefined the foot to equal exactly 30.48 centimeters. This definition was also adopted in Britain by the Weights and Measures Act of 1963, so the foot of 30.48 centimeters is now called the international foot. A calculator for various length-related units can be found here. A square foot is a unit of area equal in size to a square 1 ft x 1 ft, although it can be any shape of equal area. 1 ft2 = 144 in2 = 929 cm2 = 0.093 m2. A calculator for various area-related units can be found here. A cubic foot is a unit of volume equal in size to a cube 1 ft x 1 ft x 1 ft, although it can be any shape of equal volume. 1 ft3 = 1728 in3, 105.4 cm3, 0.028 m3, 28.3 liters, 7.5 U.S. liquid gallons or 6.2 British Imperial gallons. A calculator for various volume-related units can be found here. The footcandle is an older unit of illuminance or illumination, defined as the illuminance received by a surface at a distance of one foot from a light source of intensity one international candle. The "international candle" was the predecessor of the candela as the standard unit of light intensity. Illuminance is now measured in lux; one footcandle equals 10.76 lux or about 1.076 milliphot. The unit is also sometimes spelled foot-candle or foot candle. A calculator for various light-related units can be found here. Foot of head is a unit of water pressure used in plumbing. One foot of head is equivalent to a pressure of 0.43 lb/in2, 2.99 kilopascals (kPa), 29.9 millibar (mb) or 0.88 inches of mercury (in Hg). It is frequently used in aquarium piping and pumping applications, and takes into account backpressure against pumps generated from both increases in elevation and frictional losses. A calculator for various pressure-related units can be found here. Foot per minute is a unit of velocity or flow rate. One foot per minute equals 30.48 cm/min, 5.08 mm/s, or 0.018 miles per hour. A calculator for various speed-related units can be found here. Foot per second is a unit of velocity equal to exactly 15/22 mile per hour or 1.1 kilometers per hour. Aquarists sometimes quote flow rates in their aquaria using this unit. A calculator for various speed-related units can be found here. The gallon is a unit of liquid volume. Its name derives from the Roman galeta, which originally meant a pailfull. Gallons of various sizes have been used throughout history. In the United States, the liquid gallon is now defined as 231 cubic inches and holds 4 liquid quarts or 3.79 liters. A U.S. gallon of fresh water weighs about 8.33 pounds, and a gallon of salt water weighs about 8.55 pounds. The British (Imperial) gallon has a volume of 277.4 cubic inches or 4.55 liters. A calculator for various volume-related units can be found here. Gallons per hour is a unit of liquid flow that is frequently used for aquarium pumps such as powerheads. The flow of such pumps varies with the backpressure against which the pump is pushing the water. A calculator for various flow rate-related units can be found here. Gallons per minute is a unit of liquid flow that is frequently used for aquarium pumps. The flow of such pumps varies with the backpressure against which the pump is pushing the water. A calculator for various flow rate-related units can be found here. The grain is a unit of weight equal to 1/7000th of a pound or 0.0648 gram. A calculator for various weight-related units can be found here. The gpg is an expression of a material's concentration in solution. One grain per gallon is equivalent to 17.1 parts per million. Aquarists will most often encounter this unit as a measure of hardness (magnesium plus calcium), and as such, it is used as grains per gallon of calcium carbonate equivalents. Nevertheless, both calcium and magnesium are counted as if they are calcium ions. Here is one way to think of this odd unit. The total molar concentration (moles/L) of magnesium and calcium present would be determined with a kit that didn’t distinguish between the two metals. This combination molar value (moles/L) is then multiplied by the molecular weight of calcium carbonate (100 grams/mole) to give the hardness in g/L of calcium carbonate equivalents. To get to a unit of ppm (~mg/L) calcium carbonate equivalents, this value is multiplied by 1000. To convert to grains per gallon, divide ppm calcium carbonate equivalents by 17.1. The gram is a unit of mass in the metric system originally defined to be the mass of one cubic centimeter of pure water, but to provide precise standards it was necessary to construct physical objects of specified mass. One gram is now defined to be 1/1000 of the mass of the standard kilogram, a platinum-iridium bar retained by the International Bureau of Weights and Measures in Paris. The kilogram, 1000 grams, is considered the base unit of mass in the SI system. The gram is equal to about 15.4 grains or 0.035 ounce. The only correct symbol for the gram is g. The abbreviations gm and gr should never be used. A calculator for various weight-related units can be found here. Gram per kilogram is a unit of mass concentration equal to 1 per mill (1 part per thousand). One g/kg also equals 0.1% g/g or 0.1% w/w. Gram per liter (g/L) is a concentration unit based on the number of grams of a substance dissolved in a liquid, usually water. When the fluid is fresh water, a g/L is approximately equal to 1 ppt (1 part per thousand). Seawater contains approximately 35 grams per liter of total salts. Gram per milliliter is a unit of density of a substance. It is the same as grams per centimeter cubed (g/cm3). Seawater has a density of about 1.023 g/mL at 80ºF (note that the specific gravity at this temperature is higher, about 1.0264). A calculator for various density-related units can be found here. Hardness is a characteristic of water due to the presence of dissolved calcium and magnesium. Water hardness is responsible for most scale formation in pipes and water heaters (calcium and magnesium carbonates, typically), and forms insoluble solids when it reacts with soaps. Hardness is often expressed in grains per gallon, parts per million or milligrams per liter, all as calcium carbonate equivalents. It is a measure often used in freshwater aquarium systems, but not often in marine systems, where its values are very large. Seawater has a total (general) hardness of about 6.3 g/L (6,300 ppm) of calcium carbonate equivalents. These linked articles detail aspects of magnesium and calcium in seawater. Horsepower is a unit of power used in the United States representing the power exerted by a single horse in pulling a load. The unit horsepower was defined by James Watt (1736-1819), the inventor of the steam engine, who experimentally determined that a typical horse is capable of generating 550 foot-pounds per second. A horse harnessed to an appropriate machine, for example, can lift 550 pounds at the rate of 1 foot per second. The SI unit of power is named for Watt, and one horsepower is equal to approximately 746 watts. Aquarists most often encounter horsepower ratings on motors used to drive large pumps or chillers. A calculator for various energy-related units can be found here. The hour is a unit of time equal to 60 minutes, 3600 seconds or 1/24 day. The hertz is the SI unit of frequency equal to one cycle per second (cps). Frequencies of radio and television waves are measured in kilohertz (kHz), megahertz (MHz) or gigahertz (GHz), and the frequencies of light waves are measured in terahertz (THz). The unit is named for the German physicist Heinrich Rudolf Hertz (1857-1894), who proved in 1887 that energy is transmitted through a vacuum by electromagnetic waves. A calculator for various frequency-related units can be found here. The Imperial gallon is a unit of volume equal to 1.2 U.S. liquid gallons or 4.55 liters. A calculator for various volume-related units can be found here. The inch is a unit of distance equal to 1/12 foot or 2.54 centimeters. A calculator for various length-related units can be found here. A square inch is a unit of area equal in size to a square 1 inch x 1 inch, although it can be any shape of equal area. 1 in2 = 6.5 cm2 = 645 mm2. A calculator for various area-related units can be found here. The cubic inch (in3) a unit of volume equal in size to a cube 1 in x 1 in x 1 in, although it can be any shape of equal volume. It is a traditional unit of volume in English-speaking countries. One cubic inch equals 1/1728 = 0.000058 ft3, 16.4 cm3, 16.4 milliliters, 0.55 U.S. fluid ounces or 0.58 British Imperial fluid ounces. A calculator for various volume-related units can be found here. The inch (in) of mercury (Hg) is a unit of atmospheric pressure. In the United States, atmospheric pressure is often expressed as the height of a column of mercury exerting the same pressure as the atmosphere. In a mercury barometer, this height is read directly as the height of the mercury column. One inch of mercury is equivalent to 0.49 pounds per square inch (psi) or 3.39 kilopascals (33.9 millibars). A calculator for various pressure-related units can be found here. A measure of activated carbon's ability to adsorb substances with low molecular weights (that is, small molecules). It is usually reported in mg/g, which equals the milligrams of iodine (I2) that can be adsorbed onto one gram of activated carbon. The ionic strength is used in interpreting a variety of physical phenomena in aqueous solutions such as seawater. For example, to what extent the ions in an aqueous solution interfere with the interactions of charged species with one another is related to the ionic strength. The ionic strength is calculated by multiplying the concentration of each charged species by the square of its charge, summing the values obtained for each species, and dividing by two. For example, 1 molar (M) sodium chloride would have an ionic strength of (1x1 + 1x1)/2 = 1 M. Likewise, 1 M calcium chloride (CaCl2) would have an ionic strength of (1 x 4 + 2 x 1)/2 = 3 M.
The joule is the SI unit of energy. It is defined to be the work done by a force of one newton acting to move an object through a distance of one meter. One joule is also the kinetic energy of a mass of two kilograms moving at a velocity of 1 m/s, or 107 ergs, 0.74 foot-pounds, 9.5 x 10-4 Btu, 0.24 (small) calories or 2.8 x 10-4 watt hour. The joule is named for the British physicist James Prescott Joule (1818-1889), who demonstrated that mechanical and thermal energy were equivalent in 1843. The unit is usually pronounced "jool." A calculator for various energy-related units can be found here. Kelvin is the SI unit of temperature, previously called the degree Kelvin (°K), but that term is no longer used. One Kelvin represents the same temperature difference as one degree Celsius. In 1967 the General Conference on Weights and Measures defined the temperature of the triple point of water (the temperature at which water exists simultaneously in the gaseous, liquid, and solid states) to be exactly 273.16 Kelvins. Since this temperature is also equal to 0.01°C, the temperature in Kelvins is always equal to 273.15 plus the temperature in degrees Celsius. The Kelvin equals exactly 1.8 degrees Fahrenheit. A calculator for various temperature-related units can be found here. Color temperature is a measure of the overall "color" of a light source, such as a lamp used over an aquarium. The measurement is obtained by comparing the spectrum that it emits (i.e., the wavelengths of light) to the spectrum of a perfect emitter at a specific temperature. CCT (correlated color temperature) is expressed in Kelvin (K). Lower temperatures indicate more red and yellow light, higher temperatures more blue. A calculator for various light-related units can be found here. An article with detailed information on such lighting units and their application to reef aquaria can be found here. The kcal is an ambiguous unit of energy. The ambiguity comes about because there are two "calories" in common use. These are the calorie (the small calorie equal to 4.19 kilojoules) and the Calorie (the large calorie equal to 4.19 megajoules). The term kilocalorie means 1000 calories, which is the same as 1 Calorie. Kilocalorie is the correct term for the unit known in human nutrition as the "calorie." A calculator for various energy-related units can be found here. The kilogram is the unit of mass in the SI and MKS versions of the metric system. The kilogram is defined as the mass of the standard kilogram, a platinum-iridium bar held by the International Bureau of Weights and Measures (BIPM) near Paris, France. Copies of this bar are kept by the standards agencies of all the major industrial nations, including the U.S. National Institute of Standards and Technology (NIST). One kilogram equals 1000 grams or 2.2 pounds. The kilogram was designed to be approximately the mass of a liter of water. A calculator for various weight-related units can be found here. The kilodalton is a unit of mass equal to 1000 atomic mass units, or daltons. The kilopascal is a unit of pressure equal to 1000 pascals (Pa), 10 millibars (mb), 0.145 pounds per square inch (lbf/in2 or psi), 20.9 pounds per square foot, 7.5 millimeters of mercury (mm Hg), 0.30 inches of mercury (in Hg), 4.02 inches of water column (in WC) or 0.335 foot of head (ft hd). A calculator for various pressure-related units can be found here. The kilowatt is a unit of power, equivalent to 1000 watts, 1.34 horsepower or 738 foot-pounds per second. The kilowatt hour is the commercial unit of electric energy in the United States. One kilowatt hour represents the amount of energy delivered at a rate of 1000 watts over a period of one hour, or 100 watts over 10 hours. The kilowatt hour is equivalent to 3.6 megajoules, 3412 BTU, 860 (kilogram) Calories or 2.66 million foot pounds. A calculator for various energy-related units can be found here. The liter is the common metric unit of volume. It was originally defined to be the volume occupied by a kilogram of water, although it was given a series of more precise definitions over the years. The liter is 61.0 cubic inches, 1.056 U. S. liquid quarts, 33.814 fluid ounces, 0.908 U. S. dry quarts, or 0.88 British imperial quarts. Both the lower case letter l and the upper case L are accepted symbols for the liter, but the U.S. Department of Commerce specifies that L be used, to avoid confusion with the numeral 1. In scientific prose, chemists are more inclined to use L while biologists often use l. The unit is spelled liter in the U.S. and litre in Britain. A calculator for various volume-related units can be found here. The pound (lb) is a unit of weight that has evolved over the years. The unit now used in the United States is the avoirdupois pound. The avoirdupois pound is divided into 16 ounces. One avoirdupois pound is equal to 453.6 grams. A calculator for various weight-related units can be found here. The LD is a measure used in toxicology to express the percentage of a population killed by a dose of the substance being studied. The percentage killed is often given as a subscript. For example, the toxicity of a chemical compound is commonly expressed by stating the LD50. The LD50 is the amount of the substance that kills 50% of the test population. Aquarists often encounter it in studies of the toxicity to aquarium inhabitants of compounds such as copper. It can have any of a variety of normal concentration units, such as ppm, ppb, etc. Pounds per cubic foot is a measure of density, which aquarists are most likely to encounter in relation to the bulk density of solids such as calcium hydroxide, calcium oxide or calcium carbonate powders. A calculator for various density-related units can be found here. Pounds per square foot is a unit of force or pressure. It is often used in specifying the maximum loading of floors (which might be important to aquarists planning large aquaria). A calculator for various pressure-related units can be found here. Liters per hour is a unit of liquid flow that is frequently used for aquarium pumps such as powerheads. The flow of such pumps varies with the backpressure against which the pump is pushing the water. A calculator for various flow rate-related units can be found here. The lumen is the SI unit for measuring the flux of light through a unit portion of a sphere. Light's intensity is measured in candelas. One lumen represents the total flux of light emitted, equal to the intensity in candelas multiplied by the solid angle in steradians (1/(4·p) of a sphere) through which the light passes. The total flux of a one-candela light source, if the light is emitted uniformly in all directions, is 4·p lumens. A calculator for various light-related units can be found here. An article with detailed information on such lighting units and their application for reef aquarists can be found here. Lumen per watt is a way of gauging the efficiency of a light source at producing light using electrical energy. The higher the lm/w, the less electricity is required to produce a fixed amount of light. A calculator for various light-related units can be found here. An article with detailed information on such lighting units and their application to reef aquaria can be found here. Lux is the SI unit for measuring the illumination of a surface. One lux is defined as an illumination of one lumen per square meter. The intensity of the light source is measured in candelas; the total light flux in transit is measured in lumens (1 lumen = 1 candela·steradian); and the amount of light received per unit of surface area is measured in lux (1 lux = 1 lumen/square meter). One lux is equal to approximately 0.09290 foot candle. A calculator for various light-related units can be found here. An article with detailed information on such lighting units and their application for reef aquarists can be found here. The meter is the metric and SI unit of distance. Originally, the meter was designed to be one ten-millionth of the distance between the Equator and the North Pole. Over the years it has become better defined, and is now defined in terms of the speed of light and the specific fraction of the length that light travels in a second in vacuum. One meter equals 1.09 yards, 3.28 feet or 39.4 inches. The unit is spelled meter in the U.S. and metre in Britain. A calculator for various length-related units can be found here. Molar is a unit used by scientists to describe the concentration of chemical solutions. A one molar solution contains one mole (6.02 x 1023 molecules) of the chemical dissolved in 1 L of solution. To convert molar concentration into ppt (parts per thousand), multiply the molar concentration by the molecular weight of the chemical. To convert into ppm (parts per million), multiply the molar concentration by 1000 and by the molecular weight. A square meter is the SI unit of area equal in size to a square 1 m x 1 m, although it can be any shape of equal area. 1 m2 = 104 cm2= 10.8 ft2=1.2 square yards. A calculator for various area-related units can be found here. The cubic meter (m3) is the SI unit of volume equal in size to a cube 1 m x 1 m x 1 m, although it can be any shape of equal volume. It equals 106 cm3, 1000 liters, 35.3 ft3, 1.31 yd3, 264 U.S. liquid gallons, or 220 British Imperial gallons. A calculator for various volume-related units can be found here. The millibar (mb) is a unit of atmospheric pressure equal to 0.001 bar, 100 pascals, 1000 dynes/cm2, 0.0295 inches (0.75 millimeters) of mercury or 0.0145 lb/in2. A millibar is equal to a hectopascal(hPa) and is often used by meteorologists. A calculator for various pressure-related units can be found here. A millicandela (mcd) is a unit of light intensity equal to 0.001 candela. The intensity of light-emitting diodes (LEDs) is often stated in millicandelas. A calculator for various light-related units can be found here. An article with detailed information on such lighting units and their application for reef aquarists can be found here. A milliequivalent (mEq) is a unit of the relative amount of a substance or a collection of related substances with similar reactivity. One mEq equals 0.001 equivalent. A milliequivalent per liter (meq/L) is a unit of the concentration of a substance or collection of substances. It is equal to one milliequivalent dissolved in 1 L of fluid, or 0.001 equivalents dissolved in 1 L (eq/L). Aquarists most often encounter it when measuring alkalinity, which is a little unusual in that alkalinity is not a measure of a single substance in solution, but rather the aggregate of several reactive species. Alkalinity is a measure of the amount of acid necessary to reduce the pH of water to the point where all carbonate and bicarbonate have been converted into carbonic acid (about pH 4.2 in seawater). In seawater, nearly all of the alkalinity is provided by bicarbonate and carbonate, although some is contributed by other ions such as borate. Consequently, alkalinity can be used by reef aquarists as a surrogate measure for bicarbonate and carbonate which are taken up by calcifying organisms. The units of alkalinity can be meq/L (milliequivalents per liter), dKH (degrees of carbonate hardness) or ppm (meaning ppm of calcium carbonate equivalents). 1 meq/L = 2.8 dKH = 50 ppm CaCO3 equivalents. Seawater has an alkalinity of about 2.5 meq/L = 7 dKH = 125 ppm CaCO3 equivalents. An article explaining in detail what alkalinity is and what its units mean is online here. A calculator for converting between different alkalinity units is online here. A calculator for determining how much of different supplements to add to boost alkalinity, as well as calcium and magnesium, is online here. The buffering capacity (meq/L/pH unit), often labeled b, is a measure of how strongly buffered an aqueous solution is. The buffering capacity of solutions such as seawater changes with pH. The units can be understood as the amount of acid (or base) in meq/L necessary to change the pH by 1 pH unit. n seawater at a given pH, the higher the alkalinity, the higher the buffering capacity. Details on the buffering capacity definition and what values it has at different pH values in seawater due to borate, carbonate and bicarbonate is online here. The milligram (mg) is a unit of mass equal to 0.001 gram, 1000 micrograms (µg), 0.0154 grains or 35.3 x 10-6 ounce. A calculator for various weight-related units can be found here. mg/kg is the symbol for milligram per kilogram, a unit often used in medicine to measure dosage rates. 1 mg/kg is equivalent to 10-6 g/g or 1 part per million. For chemical concentrations in seawater, where 1L weighs approximately 1.023 kg, 1 mg/kg is approximately 1.023 mg/L. mg/kg and ppm are units of measure often used for chemicals in aquaria. mho is an old name for the unit of electrical conductivity, the siemen. It is the reciprocal of the ohm (mho is ohm spelled backwards). A microeinstein is one millionth of an Einstein, or 10-6 einstein. The microeinstein is a unit of light energy. One microeinstein is the energy carried by 6.02 x 10-17 photons (10-6 moles of photons). Light has frequency v (in hertz) and wavelength l (in meters). One microeinstein is then equal to (4.0 x 10-16)v or (1.2 x 10-7)/l joules per mole (J/mol). The unit is named for the physicist Albert Einstein (1879-1955). A calculator for various light-related units can be found here. An article with detailed information on such lighting units and their application to reef aquaria can be found here. A microeinstein per second per square meter (mE/s/m2 or mE/s*/m2) is a unit of light energy per second landing on (or passing through) a given area (Figure 2). Photosynthetically active radiation (that is, light in the 400 nm – 700 nm wavelength range; PAR) can be given in energy terms as PAR irradiance, which is the total energy in the 400-700 nm range. In that case, the units of PAR are watt/m2. It can also be measured in terms of photons. In that case, PAR is called Photosynthetic Photon Flux Density (PPFD). PPFD is a measure of the actual number of photons in the 400 nm to 700 nm wavelength range that are incident per time unit on a surface unit. When expressed in PPFD, all photons are equivalent regardless of their energy and consequently, PPFD is measured in microEinstein/m2/second. A calculator for various light-related units can be found here. An article with detailed information on such lighting units and their application for reef aquarists can be found here. Figure 2. 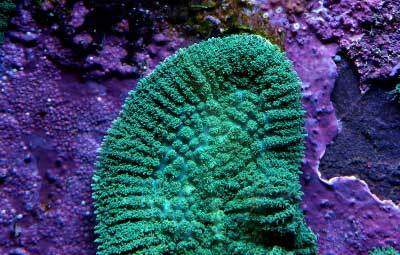 These green star polyps have lost their color due to inadequate mE/s/m2. µg is the symbol for the microgram, which is a unit of mass equal to 0.001 milligram (mg) or one millionth of a gram. A calculator for various weight-related units can be found here. µL is the symbol for the microliter, which is a unit of volume equal to 0.001 milliliter or 1 cubic millimeter (mm3). Chemists often measure very small volumes in microliters. A calculator for various volume-related units can be found here. µm is a symbol for the micrometer, which is a unit of distance equal to 0.001 millimeter. The name micron is also used for this unit. A calculator for various length-related units can be found here. Micromolar is a unit of concentration equal to 1 micromole dissolved in 1 L of fluid. It is also equal to 10-6 molar. It is a very common unit of concentration in chemistry, chemical oceanography and biochemistry. Microsiemens per cm (mS/cm) is a unit of conductivity equal to 10-6 siemens/cm or 10-3 mS/cm. It is often used in aquaria to measure the “purity” of fresh water via conductivity. It is especially useful in determining whether reverse osmosis (RO) and deionizing (DI) water purification systems are functioning properly. In this case, an RO unit ought to drop the conductivity by a factor of 10 to 20 or more, and a DI unit ought to drop the conductivity to 0-1 µS/cm. A solution's conductivity is normally quoted at 25ºC; most conductivity meters make this correction automatically. This linked article describes the various conductivity scales, how it is measured, and how to use it for fresh water purification systems such as RO/DI. A mil is a unit of distance equal to 0.001 inch, or a "milli-inch." Mils are used primarily in the United States for small tolerances in engineering work. One mil is 25.4 microns. A calculator for various length-related units can be found here. Millilux is a unit of illumination equal to 0.001 lux. Typical illumination outside at night is measured in millilux. A calculator for various light-related units can be found here. An article with detailed information on such lighting units and their application for reef aquarists can be found here. See mm. A calculator for various length-related units can be found here. Milligram per L is a unit of concentration often used for chemicals in aquaria. For chemical concentrations in freshwater, 1 mg/L is approximately 1 ppm (= 1 mg/kg). For chemical concentrations in seawater, where 1 L weighs approximately 1.023 kg, 1 mg/L is approximately 0.978 ppm (= 0.978 mg/kg). The milliliter is a metric unit of volume. One milliliter equals 0.001 liter, one cubic centimeter (cm3 or cc) or 0.061 cubic inch. The milliliter is normally used for measuring the volumes of liquids. Solids are normally measured in cubic centimeters. Millimolar is the SI unit used frequently in science for concentrations of chemicals in water. 1 mM = 0.001 M. To convert mM to ppm, multiply the concentration in mM by the molecular weight of the chemical. For calcium, for example, multiply the concentration in mM by 40 to get ppm. The minute is a unit of time equal to 60 seconds or to 1/60 hour. The SI system specifies min as the symbol for the time unit and ' as the symbol for the arcminute. The millimeter (mm) is a unit of distance equal to 0.001 meter, 0.1 centimeter, 0.0394 inch, or 39.4 mils. A calculator for various length-related units can be found here. A millimeter of mercury (mm Hg) is a unit of pressure equal to the pressure exerted by a column of mercury 1 millimeter high. When a mercury barometer is used, the pressure is read directly as the height of the mercury column in millimeters. One millimeter of pressure is equivalent to 0.0394 in Hg, 0.0193 lbf/in2, 1.33 millibars or 133 pascals. In engineering, the millimeter of mercury is sometimes replaced by the torr, the two units being nearly equal. A calculator for various pressure-related units can be found here. The mole is the SI unit for the amount of a substance. Moles measure the actual number of atoms or molecules in an object, rather than the weight that is used by other sorts of units, such as ppm. It is sometimes called the gram molecular weight, because one mole of a chemical compound contains the same number of grams as the molecular weight of that molecule. The number of atoms or molecules in a mole is called Avogadro's number after the Italian chemist and physicist Amedeo Avogadro (1776-1856). It is approximately 6.02 x 1023. The mole fraction is a unitless value that represents the fraction of the total number of moles that is represented by a single species. The total of all mole fractions in a single solution must add up to 1.00. For example, a solution containing one mole of ethanol and nine moles of water is said to have a 0.1 mole fraction of ethanol and 0.9 of water. Molal is a concentration unit defined as one mole per kg of solution. Since 1 L of water weighs close to 1 kg, molal (mole/kg) and molar (mole/L) are close to the same. Millisiemens per cm (mS/cm) is a unit of conductivity equal to 0.001 siemens/cm. It is often used in aquaria to measure salinity via the conductivity. The conductivity of a solution is normally quoted at 25ºC and most conductivity meters make this correction automatically. Seawater (with a salinity of 35 ppt) has a conductivity of approximately 53 mS/cm. The concentration of other materials can also be determined this way, assuming that they are the only substances in solution. Saturated limewater (calcium hydroxide in fresh water) has a conductivity of about 10.3 mS/cm at 25ºC. Finally, conductivity is also very useful in determining whether reverse osmosis and deionizing water purification systems are functioning properly. This linked article details how conductivity can be used to measure salinity. This linked article describes in detail the relationship between conductivity and seawater salinity, and how to make standards. The millivolt (mV) is a unit of electric potential equal to 0.001 volt. It is often used in electrical circuits and in measuring ORP. This linked article details what ORP is and how it is used in reef aquaria. Normal is a unit of relative concentration used in chemistry to describe a solution having a concentration of 1 equivalent per liter. See “equivalent”. A nanometer (nm) is a unit of distance equal to 10-9 meter. The nanometer replaced the millimicron in 1951. One nanometer equals 0.001 micrometer or 10 angstroms. Individual molecules are nanometer in scale. A calculator for various length-related units can be found here. A nanomole (nmole) is a unit of amount of substance equal to 10-9 mole, or 6.02 x 1014 individual molecules or ions. Nanomolar is a unit of concentration equal to 10-9 mole per liter. The ohm is the SI unit of electric resistance (as well as other properties such as impedance for alternating currents). When a conductor connects two locations having different electric potentials (voltages), a current flows through the conductor. The amount of the current will depend on the potential difference (the voltage) and also on the resistance of the conductor. One ohm is the resistance that requires a potential difference of one volt to cause one ampere of current to flow. The unit honors the German physicist Georg Simon Ohm (1787-1854). ORP stands for the oxidation reduction potential. It is a measure of water's relative oxidizing and reducing power. In the aquarium hobby it is normally measured in mV relative to the standard silver/silver electrode. In other scientific fields, it can be measured in volts, and may use a different zero point standard, such as the standard hydrogen electrode or calomel electrode. This linked article details what ORP is and how it is used in reef aquaria. The osmole (Osm) is a unit of osmotic pressure (see below). One osmole is the osmotic pressure of a one molar solution (that is, a solution with a concentration of one mole per liter of solvent) of a substance that does not dissociate, such as sugar in water. Osmotic pressure depends on the total number of dissolved particles, so for a substance that dissociates into two ions, such as sodium chloride, a one molar solution has an osmotic pressure of 2 osmoles. Likewise, a 1 M solution of calcium chloride (CaCl2) has an osmotic pressure of 3 osmoles. Typical values range from 0.02 Osm for fresh water to 1.01 Osm for seawater. The osmotic pressure is the pressure difference that exists between solutions on either side of a semi-permeable membrane. Osmotic pressure is caused by water's tendency to flow from higher salt concentrations to lower salt concentrations. Every 100 ppm (mg/L) of TDS (total dissolved solids) produces about one pound per square inch (psi) of osmotic pressure. Osmotic pressure is overcome by tap or pumped water pressure in the reverse osmosis process. The ounce commonly used as a unit of weight in the United States is the avoirdupois ounce. It is 1/16 pound, 28.35 grams, 0.91 troy ounce or 437.5 grains. A calculator for various weight-related units can be found here. The fluid ounce (fl oz) is a unit of liquid volume. See fluid ounce. A calculator for various volume-related units can be found here. The ounce per gallon is a unit of mass concentration. One ounce per U.S. gallon equals 7.49 grams per liter (g/L). In Britain, 1 ounce per imperial gallon is equal to 6.24 grams per liter (g/L). The pascal (Pa) is the unit of pressure in the SI and MKS systems. It is equal to one newton per square meter or one kilogram per meter per second per second. It also equals 0.000 145 pounds per square inch, 0.021 lbf/ft2 or 0.007 5 mm Hg. Pressure is commonly measured in kilopascals (kPa), with 1 kPa = 0.145 lbf/in2. A calculator for various pressure-related units can be found here. The "part" is a unit used in statements of proportion or in recipes for mixtures. The fraction of an ingredient present is the number of parts of that ingredient divided by the total number of parts present. For example, hydrochloric acid diluted to clean calcium carbonate from pump impellers can be made by mixing one part of acid into 10 parts of water. In this instance, the implication is that the volume of acid used is one tenth the volume of water, but that the users can mix the ingredients on any convenient scale. The unit "part" can apply to weight (mass) or volume. It can be ambiguous if it isn't made clear whether the part refers to weight or volume. For example, "Mix 3 parts water with 1 part gasoline" is ambiguous, and can mean either by weight or volume. Typically, the difference is small unless the densities are substantially different. Parts per trillion (ppt or pptr) is a unit of proportion equal to 10-12. It is equal to 10-9 g/kg, and is close to 10-9 g/L (in fresh water; in seawater, it equals about 1.023 x 10-9 g/L). It is also equal to 0.001 ppb. It is sometimes used to measure the concentrations of trace elements in reef aquaria. A calculator for various weight-related units can be found here. The relative humidity is a measure of the amount of gaseous water in the air as a percentage of total moisture that the air can hold at a given temperature. It can vary from 0% to 100%. A “percent solution” refers to a solution made by dissolving the given weight percentage of a chemical into a solution (usually water). For example, a ten percent sodium chloride solution is made by dissolving 10 grams of sodium chloride into 90 grams of water. pH is a logarithmic, hence unitless measure used to quantify how acidic or basic a solution is. Acidic solutions have more H+ (hydrogen ions), and pH is a measure of these ions. Specifically, the pH of a solution is defined to be the negative logarithm of the concentration (or even more precisely, the activity) of H+, measured in moles per liter. Lower pH readings correspond to greater acidity. The scale is open ended, but typically runs from about -1 to 15. A neutral solution, such as pure water, has a pH of 7. Lowering the pH by 1 unit means multiplying the hydrogen ion concentration by a factor of 10. Seawater with a pH of 8.2 has just under one tenth the amount of H+ in solution than does pure fresh water. This linked article describes how to measure pH with a meter, and this linked article describes how to buy and use pH calibration solutions. This linked article describes the relationship between alkalinity and pH, and these describe how to deal with excessively high and low pH in reef aquaria. The pint is a unit of volume equal to 1/2 quart. The U. S. liquid pint equals 28.9 cubic inches, 16 fluid ounces, or 473.2 milliliters. The U. S. dry pint equals 33.6 cubic inches, or 550.6 milliliters. The British Imperial pint equals 20 British fluid ounces, 34.7 cubic inches or 568 milliliters. A calculator for various volume-related units can be found here. The power factor is the ratio of an electrical device’s actual power used in watts to the apparent power measured in volt-amps (VA). For example, a 400 W appliance with a power factor of 0.8 would require a power source of 500 VA to drive it properly. Since the power factor is a ratio, it does not have units. The power factor ranges from 0 to 1.
ppb is a unit of proportion equal to 10-9. It is equal to 10-6 g/kg, and is close to 10-6 g/L (in fresh water; in seawater, it equals about 1.023 x 10-6 g/L). It is also equal to 0.001 ppm. 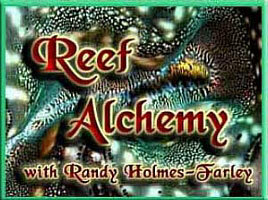 It is often used to measure the concentrations of minor or trace elements in reef aquaria. A calculator for various weight-related units can be found here. ppm is a unit of proportion equal to 10-6. It is equal to 10-3 g/kg and 1 mg/kg, and is close to 10-3 g/L or 1 mg/L (in fresh water; in seawater, it equals about 1.023 x 10-3 g/L). It is often used to measure the concentrations of different species in reef aquaria. A calculator for various weight-related units can be found here. ppm calcium carbonate (CaCO3) equivalents is an ambiguous unit used for a variety of measures by reef aquarists, including alkalinity, calcium, magnesium and total hardness. In the case of alkalinity and calcium, the unit refers to the amount (in ppm) of calcium carbonate that would have to dissolve into pure water to give the same calcium concentration or alkalinity (even if that would be impossible to accomplish). For calcium, 1000 ppm calcium carbonate equivalents equals 400 ppm calcium ion. For alkalinity, 100 ppm calcium carbonate equivalents equals 2 meq/L or 5.6 dKH. In the case of magnesium, the concentration refers to the amount of calcium carbonate that would have to dissolve to provide the same number of calcium ions as magnesium ions are present. For magnesium, 1000 ppm calcium carbonate equivalents equals 243 ppm magnesium ion. In the case of total hardness, the unit refers to the amount of calcium carbonate that would have to dissolve to provide the same number of calcium ions as the total of calcium and magnesium in solution. Using ppm calcium carbonate equivalents for magnesium and total hardness is poor practice as they are hard for most aquarists to understand, but they are used for historical reasons by certain testing companies (e.g., Hach, Figure 3). A calculator for converting between different alkalinity units is online here. A calculator for determining how much of different supplements to add to boost alkalinity, as well as calcium and magnesium, is online here. Figure 3. This Hach "Total Hardness and Calcium" test kits gives magnesium in the ridiculous units of ppm calcium carbonate equivalents. ppm-C is a way to measure total carbon atoms in solution. It is equal to the ppm concentration of carbon atoms, regardless of what chemical form they take. It is often used to describe the concentration of dissolved inorganic carbon, dissolved organic matter (DOM), particulate organic matter (POM), or total organic matter (TOM) in seawater. It can also be used to quantify the concentration of specific carbon-containing species, such as ethanol (CH3CH2OH), but that usage is unusual. ppm-P is a way to measure total phosphorus atoms in solution. It is equal to the ppm concentration of phosphorus atoms, regardless of what chemical form they take. It is often used to describe the concentrations of phosphorus in dissolved inorganic phosphate, dissolved organic matter (DOM), particulate organic matter (POM), or total organic matter (TOM) in seawater. ppm total dissolved solids is a measure, in parts per million (e.g., mg/kg), of the materials fully dissolved in water. The values can be determined by evaporating the water and determining the weight of what remains. This method gives true total dissolved solids. In the aquarium hobby, total dissolved solids is also determined by the solution's conductivity, although aquarists may not even realize that is the method being used. The device is typically a small electronic meter, often simply called a TDS meter, but it always works by measuring conductivity. In this case, only conductive ions contribute to ppm TDS. Neutral organic or inorganic materials (such as boric acid, B(OH)3) will not be detected by this method. ppm TDS is most frequently used by marine aquarists to assess the proper function of their water purification systems, such as reverse osmosis (RO) and deionization (DI) systems. There is no simple conversion between ppm TDS and standard conductivity units, such as mS/cm and mS/cm. Actually, several ppm TDS scales are used to convert from a measured conductivity to ppm TDS, and each of these scales relates to how much of a particular salt (in ppm) would result in that same conductivity. The various scales include sodium chloride, potassium chloride, and one called “442” which is a mixture of salts designed to mimic natural fresh waters. Each of these provides a different nonlinear relationship between the measured conductivity and the ppm TDS reading provided by the meter, since a salt solution's conductivity is not linear with its concentration. Because of this nonlinear relationship, no exact conversion exists for how many ppm TDS equals 1 mS/cm. The fact that there is more than one scale, and the fact that aquarists rarely know what scale they are using, makes ppm TDS suitable primarily as a relative, rather than absolute, measure of conductivity. It is in this relative sense that aquarists are best advised to use the information in assessing the performance of an RO/DI system. This linked article describes the various ppm TDS scales, how TDS is measured, and how to use it for fresh water purification systems such as RO/DI. ppt (parts per thousand) is a unit of proportion equal to 10-3. It is equal to 1 g/kg and, and is close to 1 g/L(in fresh water; in seawater, it equals about 1.023 g/L). It is often used to measure the salinity of seawater, which is about 35 ppt. In that case, it is the sum of all salts in the water, which equals about 35 grams per kg of seawater. A calculator for various weight-related units can be found here. ppt (parts per trillion) see parts per trillion. Many units can have prefixes which alter the value by a certain power of 10. For example, a milliliter is 1/1000 (milli) of a liter. The table below includes a complete list of such prefixes. The top four and bottom two or three are not frequently used. PSI is a unit of pressure equal to 144 pounds per square foot (psf), 6.9 kilopascals (kPa), 69 millibars (mb), 2.04 inches of mercury (in Hg), 27.8 inches of water (in WC) or 70.5134 centimeters of water (cm H2O). See also psig. A calculator for various pressure-related units can be found here. psig is a symbol for a pressure unit used in plumbing. Psi is a symbol for pound per square inch (see above). psig is a symbol for pound per square inch gauge; this means that the pressure has been determined from a gauge which measures the difference between the pressure of the fluid and the pressure of the atmosphere. So a pipe containing 25 psig when the atmospheric pressure is 15 psi contains an absolute pressure of 40 psi. A calculator for various pressure-related units can be found here. PSU is a standard measure of the salinity of seawater. The "unit" is actually a dimensionless ratio obtained by measuring the water sample's conductivity. Seawater of salinity 35 PSU (a typical open ocean seawater, similar to a salinity of 35 ppt) has the same conductivity as a solution of potassium chloride (KCl) with a concentration of 3.24356 % by weight. For example, a sample of salinity of 1 PSU would have conductivity 1/35 of that of the standard solution. Using this definition, it is easy for oceanographers (and reef aquarists) to determine the salinity of seawater with a conductivity meter. PSU is often abbreviated as just S.
The quart (qt) is a unit of volume. It equals exactly 1/4 of a gallon. In the U. S., one liquid quart is 57.75 cubic inches, 32 fluid ounces or 0.946 liters. In the U. S., one dry quart is 67.2 cubic inches or 1.1 liters. In the British imperial system, one quart (liquid or dry) is 69.4 cubic inches, 40 fluid ounces or 1.14 liters. In all cases, the quart equals 2 pints. A calculator for various volume-related units can be found here. The refractive index is the ratio of the speed of light in a vacuum to the speed of light in the medium being measured. Light is slowed by passing through solids and liquids, so the index of refraction is an indication of this speed change. Since the refractive index of solutions of salts in water depends on the amount of salt present, marine aquarists often use refractive index as a way to determine the salinity of aquarium water. Since it is a ratio of two speeds, it does not have units. This linked article shows the relationship between refractive index and salinity for seawater, and how to make standards to calibrate refractometers. The rpm is a unit of angular velocity. One r/min equals 0.105 radian per second. Aquarists may encounter fans or motors with rpm ratings. The second (s) is a fundamental unit of time in all standard measuring systems. The definition of the second has evolved through time. In 1967, scientists agreed to define the second based on the frequency of radiation emitted by atoms of cesium-133. The salinity of seawater is often quoted in ppt (parts per thousand). Natural seawater has a salinity of about 35 ppt, implying that there are about 35 grams of salt in a liter of seawater. See also PSU, practical salinity units. This linked article describes in more detail the relationship between the three main properties used to measure salinity in reef aquaria (refractive index via a refractometer, specific gravity via a hydrometer and conductivity via a conductivity probe), and how to make standards for each. Siemens per cm (S/cm) is a unit of conductivity equal to 1000 millisiemens/cm and 106 mS/cm. It is not often used in aquaria directly as it is much larger than typical aqueous conductivity. Seawater with a salinity of 35 ppt, for example, has a conductivity of approximately 53 mS/cm. This linked article details how conductivity can be used to measure salinity. This linked article describes in detail the relationship between conductivity and seawater salinity, and how to make standards. Specific gravity is a unitless measure that aquarists often use to measure the salinity of the water in marine aquaria. Specific gravity is the ratio of the density of the sample to the density of pure water at the same temperature (or some other specified temperature). Adding salts to fresh water increases its density, so specific gravity rises as salinity increases. While seawater's density changes considerably with temperature, specific gravity does not change much because the density of fresh water is changing in a similar fashion. The specific gravity of natural seawater with a salinity of 35 ppt is on the order of 1.0264, while the density is about 1.023 g/cm3. Specific gravity is most often measured with a hydrometer. This linked article details how specific gravity is determined, and explains issues around different temperature standards. This linked article describes how to make temperature corrections for hydrometers. The steradian (sr) is the standard unit of measure of solid angles. There are 4p steradians in a sphere. One steradian equals 0.080 sphere. There are 129 600/p = 41, 253 square degrees in a sphere, so 1 steradian also equals approximately 3283 square degrees. The tablespoon is a unit of volume. In the U.S. the tablespoon equals 1/2 fluid ounce, or 14.8 milliliters. In present-day Britain, Canada, and New Zealand, the tablespoon is 15 mL. It is 20 milliliters in Australia. The U.S. tablespoon is equal to 3 teaspoons or 1/16 cup. A calculator for various volume-related units can be found here. The teaspoon is a unit of volume. The U.S. teaspoon is equal to 1/3 tablespoon, 1/48 cup, 1/6 fluid ounce, 0.30 cubic inches or 4.9 milliliters. In Britain, Canada, Australia, and New Zealand, a metric teaspoonful is 5.0 milliliters. A calculator for various volume-related units can be found here. See tablespoon. The capital 'T' can imply tablespoon while tsp (with a lowercase 't') means teaspoon. The torr is a unit of pressure equal to 1/760 atmosphere, 1.33 millibars, 133 pascals or 0.019 pound per square inch (psi). The pressure of 1 atmosphere is approximately equal to the pressure of a column of mercury 760 millimeters high. Consequently, 1 torr is similar to 1 mm Hg. A calculator for various pressure-related units can be found here. Transmission is a unit sometimes used to measure the penetration of light through an object. Transmission is the fraction of light that passes through the object. Transmission ranges from zero (no light penetrates) to 1 (all incident light penetrates). Fifty percent light penetration implies a transmission of 0.5. More frequently, scientists use a logarithmic unit for light penetration, which is called absorbance (see absorbance). The volt (V) is the SI unit of electric potential. One volt represents a potential of one joule per coulomb of charge. The volt ampere (VA) is a unit of electrical load. The product of the potential (in volts) and the actual current (in amperes) is the load, in volt amperes. The watt is the SI unit of power. Power is the rate at which energy is used. One watt is equal to one joule of energy per second, 0.0013 horsepower (hp) or 0.738foot-pound per second (lbf/s). One watt is also the power produced by a current of one ampere flowing across an electric potential of one volt. Watts per square meter is a unit of energy per unit area. It is sometimes used in lighting analysis to determine how much light energy is landing on (or passing through) a surface. In that context it is sometimes called spectral irradiance or PAR irradiance. A calculator for various light-related units can be found here. An article with detailed information on such lighting units and their application to reef aquaria can be found here. The watt hour is a unit of work or energy. It is the total energy delivered at a rate of one watt for one hour. A 100 W light bulb lit for one hour consumes 100 watt hours of energy. One watt hour equals 3.6 kilojoules (kJ), 3.4 Btu, 0.86 large Calories (kcal) or 2655 foot pounds. A calculator for various energy-related units can be found here. Wavelength is a unit of distance equal to the length of a wave including water waves, light waves and radio waves. For light waves, common units for wavelength are nanometers or Angstroms. A calculator for various length-related units can be found here. Weight percent and w/w (weight to weight) are descriptions used in chemical recipes for making a solution that contains 2 percent of the total weight of a particular ingredient. For example, a 2 weight percent salt solution contains 2 grams of salt for every 98 grams of water. It can also be written as g/g when using grams. A calculator for various weight-related units can be found here. see weight percent. A calculator for various weight-related units can be found here.